It appears Don Jazzy’s plan to increase the Mavin Empire is not limited to members of the public alone. According to various sources, he wants popular producer DJ Coublon to join his team. 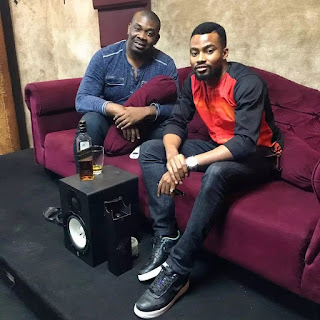 Some say Don Jazzy’s interest is as a result of Iyanya’s close working relationship with him. Born Charles Ugochukwu Akwuba, Coublon produced a number of Iyanya’s biggest songs and they were even both signed to Iyanya’s former record label Made Men Music Group (Triple MG). DJ Coublon has also produced a couple of hit songs too. He is responsible for most of Kiss Daniel’s hit songs like Woju, Laye, Good time, and Raba.